Caribou Highlands Alpine 111A is a cozy Lutsen vacation condo located at Caribou Highlands Lodge in the Superior National Forest. Caribou Highlands Alpine 115A is a Cozy Lutsen Vacation Condo Located at Caribou Highlands Lodge in the Superior National Forest. Caribou Highlands 510 is a ski-in/ski-out townhome at Caribou Highlands Resort. Caribou Highlands 542 is a Ski-in/Ski-out Townhome at Caribou Highlands Resort. Heritage Unit A 3-Bedroom is a beautiful townhome in the heart of Lutsen with panoramic views of Lake Superior. 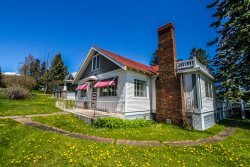 Heritage Unit B is a beautiful townhome in the heart of Lutsen with panoramic views of Lake Superior. Hideaway at Heritage B is a luxury suite in the heart of Lutsen, MN. Highpoint at Heritage B is a Luxury townhome in the heart of Lutsen with panoramic views of Lake Superior. Lutsen Log Lodge 14 is a beautiful log cabin located in the heart of Lutsen on Ski Hill Road next to Superior National Golf Course. Lutsen Log Lodge 24 is located in the heart of Lutsen across the road from the Superior National Golf Course. Lutsen Log Lodge 42 is a beautiful log cabin located in the heart of Lutsen on Ski Hill Road next to Superior National Golf Course.